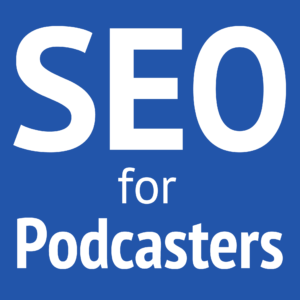 Should You Host Your Own Podcast RSS Feed? Because your RSS feed is the life of your podcast, where you host it is crucial for ownership and control. Here are some things to consider for whether you should host your feed yourself. Feed ownership and hosting are hotly debated among podcast-hosting companies. Each side has some valid arguments, and I'll address more of those shortly. It often comes down to two things: ownership and reliability. Ultimately, the choice is yours to make, and here are some things to consider. What is “owning your podcast RSS feed”? One side of ownership says you only own your feed if it's on a URL you control, the other side says you own your feed as long as you can redirect it (via 301 permanent redirect) wherever and whenever you want. I think both sides are right and are not mutually exclusive. At its core, owning your feed means that no one can take it away from you. You can switch your podcasting technology and keep your audience. You're in control of what goes into your feed. With some third-party feed-creation tools, you can add your layer of ownership with your own domain. This could be through a 302 or 307 temporary redirect, or through advanced DNS mapping (such as the MyBrand feature in FeedBurner). Such freedom may come at a higher cost, but may be worth it. How truly reliable is your podcast RSS feed? With very few exceptions (Google Play Music, Stitcher, Spotify, and a couple other podcast apps), when someone subscribes to your podcast, they subscribe directly to your RSS feed. Thus, it really doesn't matter to your audience if the podcast directory (such as iTunes) doesn't work or kicks your show out, because your audience gets your episodes from you (via the RSS feed), not from the directory. If your podcast RSS feed goes down, your podcast episodes will be inaccessible for downloading. (However, this won't affect those who have already downloaded the episodes.) Similarly, if the feed is up but the server hosting your media goes down, no one can download new episodes. 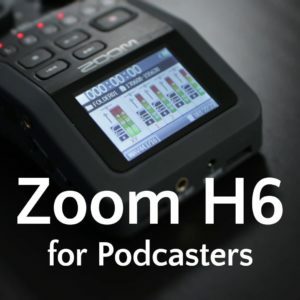 If either your feed or your media hosting are inaccessible for an extended period, your show will probably be removed from the podcast directories. For nearly every podcaster, we're at the mercy of something outside our control with our feeds. Server hardware could fail, a network could go down, a company could go out of business, and more. Even if you run your own server, you're still at the mercy of the network connection (which is probably outside your control) and even DNS providers (who make domains work). Because of this, no RSS feed is 100% reliable. Nearly everyone gives up a little control and must put their trust in someone else's stability. Even FeedBurner, when you have its questionable features disable, has proven itself to be fairly reliable. Certainly more reliable than shared hosting or some low-end “podcast-hosting” providers. Let's use Libsyn as an example (since they are the only third-party feed-creation service I can fully recommend). Libsyn can create and host your RSS feed for you, whereas FeedBurner merely rehosts the RSS feed you're already creating (and FeedBurner can optionally enhance your non-podcast feed with “SmartCast,” but never use that feature if you already have a podcast feed). Here's why you might want to let someone else host your feed. When your podcast RSS feed is on the same server as your website, you risk hindering your podcast downloads when your website has problems. Even when your web host promises 99.99% uptime, that leaves about 53 minutes of potential downtime per year, but you could likely see more than that. If you’re featured somewhere and 1,000 people try to load your site at the same time, it could crash your website and take down your RSS feed with it. Plugins like PowerPress are great for making and managing your RSS feed. If you want extra stability, you could use Angelo Mandato’s Static Feed plugin for WordPress to reduce how much work your website has to do to serve an XML file for your RSS feed. But even this static file will be inaccessible if your server crashes. There is no hard rule about the size of your RSS feed. But a maximum of 512 KB or 1 MB is still a reasonable guideline, if for no other reason, be considerate of your subscribers who have to download that feed file every time their podcast app checks for new episodes. Learn more about how to shrink your RSS feed and why it's important (episode 269). While your RSS feed is not as big as your media files, the feed would be downloaded more often and could actually cause more problems on your server than hosting your media on your server. It's not all that likely, but it is still possible. This is the most-cited reason for generating and hosting your podcast feed away from your website content management system (CMS), like WordPress. 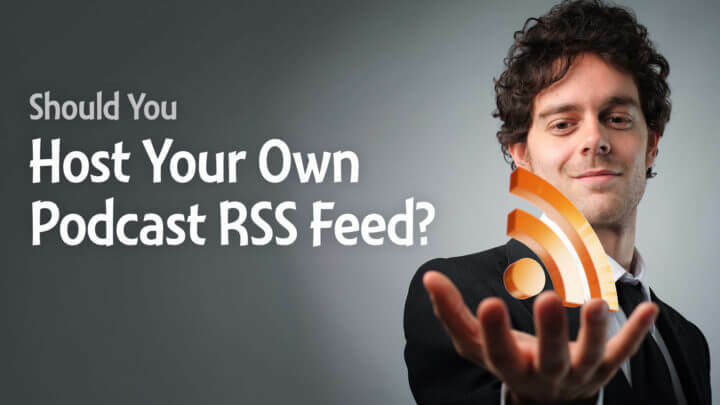 It’s true that some themes, plugins, or buried website options can break your RSS feed. This happens when any of these insert invalided information into your feed, change how the tags are populated, strip functionality, or have some other poor coding that causes a conflict. 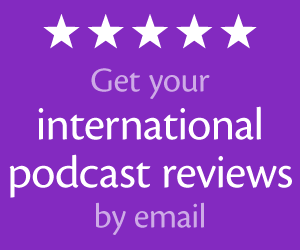 I’ve helped several podcasters before with my flat-rate, standard feed repair service. I’ve seen membership plugins, SEO plugins, themes, and simple user error break podcast feeds. Yes, it is possible to break your podcast RSS feed with even popular plugins. The more plugins you have on your site, the more chances there are that something could break. But before you panic, realize that as long as you use tested, respected, and well-written plugins, and stick with only what you truly need, the chances of breaking your feed are quite low. But if you don't want to risk it, either use your media host's feed (as long as you can “own” it) or protect your feed with FeedBurner (that is, with no features enabled, FeedBurner feeds can still stay online when the source feed is down), but still consider using your own domain. If you host your website and podcast feed on a shared hosting provider, then you could be the victim of someone else’s abuse. On shared hosting, every account has equal access to the server’s resources. If someone else’s account hogs those resources (through compromise, abuse, or bad code), it affects the rest of the accounts on that server—up to thousands of other websites. The most common symptom is that your website will run extremely slowly (even with all plugins disabled) and your feed may often timeout. Raise this issue with your shared web-hosting provider and they may be able to fix it, or help you know if you're the one causing the problem and suggest some things to check. Whether using PowerPress, hand-coding, or some other feed tool, if the RSS feed lives on your site, you're hosting it yourself, and here's why you might want to do that. When your podcast RSS feed is on your own domain, you own it. You can transfer it to another domain, use whatever software you want to create it, or redirect it to anywhere else. You’re not at risk of third-party company shutting down their service (there have been rumors of FeedBurner’s demise for many years) because you own your feed, not them. And if you’re ever dissatisfied with the performance of your feed on your server, you can take it anywhere else you want, and never lose your subscribers. Hosting your podcast feed on your server opens up a world of possibilities for how you generate and manage that feed. You can do anything you want with it. Your total control of your RSS feed let’s you change media hosting as fast as a find and replace tool (PowerPress has a great one built in). You can also integrate any stats provider you wish. When new RSS features become standards, it’s easy to implement in your own feed. You can change, add, or remove anything you want when you create and host your own RSS feed. And all of this can be done with powerful self-hosting tools (like WordPress with PowerPress) that don’t require you to know anything about RSS or XML. With the right skills or instructions, you can even customize PowerPress to support edge technologies. You should already have a platform for your podcast on a self-hosted website you own and control. I highly recommend WordPress hosted on either BlueHost or WP Engine. As your platform, this should be the home for your content. If you use well-designed tools like WordPress and PowerPress, then this platform can also be the tool to create your podcast RSS feed. It’s not complicated. A podcasting plugin like PowerPress allows you to continue your regular, familiar workflow of blogging with WordPress, and then add a simple extra step to turn a blog post into a podcast episode. This means your platform is where you create your blog, sell your products and services, engage with your community, and create your podcast RSS feed without much extra work. It’s all coming from a single website so you can manage everything in one place with all the extra features you may want. If you want the most simple workflow with your WordPress site, then consider using Blubrry media hosting. This allows you to not only create your text in WordPress, but also upload your media directly through WordPress, manage your episodes, and even automatically add ID3 tags! Now, Libsyn also has a WordPress plugin that simplifies the workflow for using their feed with WordPress, but this is somewhat limited and can't be retroactive (as of today). When your feed comes from your own platform, it’s also very easy to launch additional podcasts or offer additional feeds for the same podcast. Other hosts may provide these features, but usually at extra costs. If you use your website to create your podcast feed, then you can use a single media hosting account, but use PowerPress to give you multiple podcast feeds. For example, you could have one account with LibSyn, but use PowerPress to create an audio edition and video edition of your podcast, each with their own RSS feeds. Or you could use the same media hosting to power multiple podcasts, either coming from a single website or from multiple websites. You don’t easily get that kind of extendability with the feed coming from a media host. (Yes, you can sometimes generate additional category feeds, but then you have to use FeedBurner to adjust that feed for your needs.) AfterBuzz TV is a large TV-aftershow podcast network successfully generating hundreds of RSS feeds with PowerPress from their one site. Podcast Awards daily voting starts on Sunday, May 29. Please vote for The Productive Woman, The Audacity to Podcast, ONCE – Once Upon a Time podcast, and our other podcast friends. Click here for more details and to get daily voting reminders. Join me at Podcast Movement with promo code “society” to save $40! 1. Website stability: If your website is not capable of handling the traffic for an XML feed (we’re talking 1 file), then more than likely your website will also have performance issues when crawled by a search engines for indexing (web pages have more than just one 1 to them which would amount for more traffic in one request than one request for an XML feed). Essentially if your web hosting is not up to the task then you will be harming not only your podcast but your SEO and web page loading performance as well. 2. Bandwidth requirements; If you are using PowerPress, please enable the “Feed Mazimizer” option. With this option enabled, you can safely put up to 300 episodes in your podcast feed while keeping your XML file below 512K. 3. Feed volatility: We added an option in PowerPress in the Feed settings to prevent other themes and plugins from modifying your podcast feeds. This option as its titled prevents other plugins and themes from doing harm to your podcast feeds. If this is a concern for you, please enable this option. 4. Dangers on shared hosting: What you speak of is an issue even with a non-podcast website. If your website cannot handle the traffic then everything will suffer, including your SEO and experience your users will have when they visit your website. As long as you get yourself good web hosting and you use the tips I just provided you’re not going to have feed issues. Thanks for your input, Angelo! Hi Daniel! I really enjoyed this podcast. I watched on Blab! You gave me confidence in doing my own podcast. How is the best way to personally get in contact with you? I am creating something that is huge and I would like to introduce the idea to you. Thanks for doing this episode Daniel, and I can see the point behind both approaches. I think the problems around feed stability are mostly self-imposed by ultra-cheap hosting, but unfortunately, that’s a reality for a lot of people starting out. (I recommend against it, but as I’ve watched this space, it seems nearly every entrepreneur or startup has to learn the lessons the hard way… $3.95/mo hosting… site hacked/down…. -> $10/mo hosting… site hacked/down…. -> $20/mo hosting… audience grows, site down -> managed WP hosting or VPS w/ lots of help or tons of time spent learning. They eventually get to stability, but only after a lot of problems and frustration.). So, Angelo is right in that this can be avoided, and that you’re going to have issues with your overall website too, if you’re on cheap hosting. But, I *DO* actually see lots of podcasters having problems with their web sites when I go visit them to read the show notes, so if the site is having problems, then maybe their podcast feed is as well. I can certainly see the Libsyn argument (i.e. : them hosting the feed for you, to separate that aspect out). 1) Features – I’m sure each has their set of features/advantages, but roughly do the same thing. 2) the ownership issue – which falls clearly into the PowerPress camp. It’s this last point that should probably be considered at a bit more closely, IMO. As your audience grows, and if the podcast apps of each of those people check quite often, that could be a considerable amount of traffic as you mentioned in a previous post (visits and data volume). This, of course, depends on how your hosting provider measures that stuff, but it would be good to check into. For example, WP Engine measures visits as a unique IP over a 24-hour period, so that takes care of an app checking once per hour, for the most part. But other hosts would count that (say once per hour) as up to 24 visits from each person. And, as you pointed out, a LOT of 512K+ downloads eventually add up. Thanks. Great content. One question for you. Is it fair to say that if you’re starting today, that Libsyn and Blubrry are on equal planes from WP and media workflow perspective? It sounds like Libsyn’s inability to work retroactively is a minus, but if you’re starting today and you don’t have to worry about legacy episodes, do you prefer one vs the other?